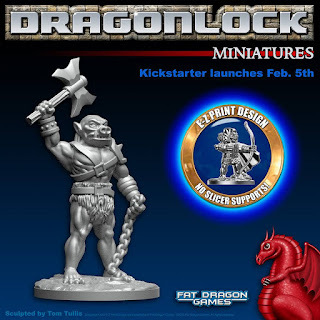 Just a head's up that Fat Dragon Games is going to have a Kickstarter for their upcoming line of miniatures that starts on February 5th. 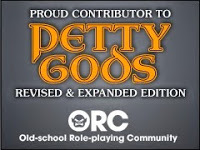 Now I'll freely admit to being a bit of a fanboy when it comes to FDG, but Tom Tullis (the head honcho) has always been a stand-up guy and I've yet to see his efforts fall short of stellar. If you're into 3d printers for gaming in pretty much any way, shape, or form you really need to check out his Youtube channel.....which is going to be this week's Free GM Resource. You might also want to signup for the Dragonlock & Dragonbite 3D Printer Gaming Terrain Facebook group....so yeah, that'll be a bit of a twofer.